What’s new in 2.4? Jump right in and view the changelog. Nearly five years ago, I released the original version of the WordPress Content Framework, developed in the wee days of WordPress 2.5. When you start up WordPress for the first time, you get your stock theme, and a Hello World! post, but really little else. The WPCF was originally developed as a tool for me to whip up a quick WordPress sandbox that was prepopulated with an assortment of different pieces of content and information to help with the development of themes and CSS for WordPress. With the debut of that theme (which I’ve long since retired), I decided that I should make the content available as a downloadable content pack for WordPress. When you’re developing CSS, or a full theme, or a plugin, having a good base of different content, formatting elements, comments, categories, etc can be very helpful to make sure that you’ve covered all your bases properly. On the WordPress Theme Viewer, they have just such a site set up. When you test themes, a bunch of test data is displayed in the theme so that you can see how different elements interact with it. But, to my surprise, there was no where that you could download this data at to load into your own site. No demo site database, no WordPress eXtended RSS (WXR) file floating around, and no one seemed to have an idea of where you could get it. As I talked with folks in the community, some suggested copying my current site. Others just said to toss some junk in. Quasi-reasonable, both answers, but that’s not a good solution. I want something consistent that I can use over and over. Using my own site content isn’t a good idea, because I doubtlessly do things that others don’t, and don’t do things they do. Random content isn’t thought out enough, and might miss some elements that need to be tested. My solution was to create my own site, complete with seeded content to test formatting and display. It comes with pages and sub-pages, categories and sub-categories, menus, comments, and more. 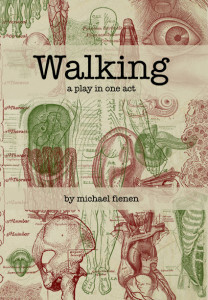 There are images, there are formatting elements, and a little bit of other stuff in between. In short, most everything to make sure that you get all your formatting elements covered when designing a WordPress theme. I also want to make this available to everyone, and will endeavor to keep it up and make it better as needs grow. Please, feel free to make comments or suggestions, and I’ll incorporate new things into it as they are made. I will also entertain the idea of creating an entire SQL file of a site, for those wishing to go that route rather than importing WXR files. WXR files are limited in what they can contain, so it won’t bring in things like blog names, descriptions, links, link categories, and other such things. 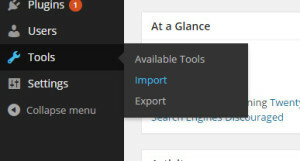 It is being made available as a WordPress eXtended RSS file, which you can import into your empty WordPress install through the Import page under Tools in nearly any version of WordPress. I created and tested this in 3.5.1 originally, and the latest version works up through version 4.1.1, though it may (and likely will) work in other versions. If you try it with others, let me know if it does or does not work.